Everton midfielder Gylfi Sigurdsson spoke about the disappointment after Iceland succumbed to a 2-0 defeat to Nigeria at the World Cup. The Icelanders were lauded for their impressive draw against Argentina during their tournament debut but they could not replicate the feat versus the Super Eagles, who found the scoresheet twice via Ahmed Musa. 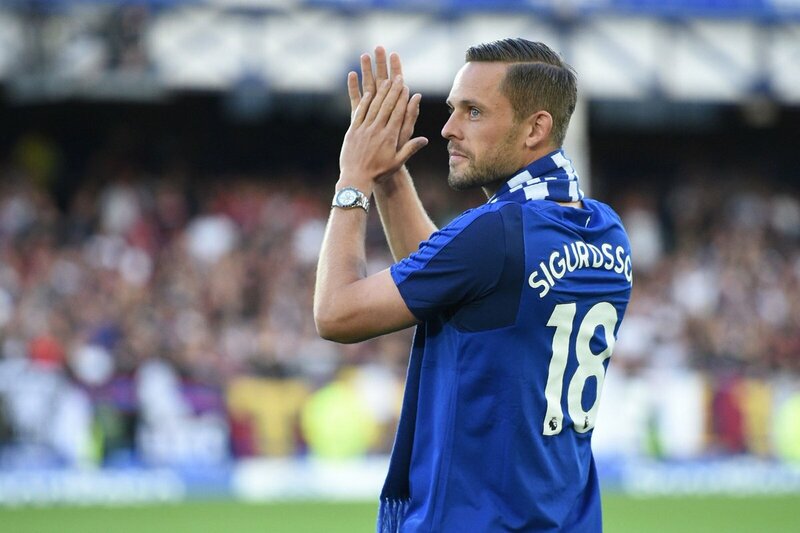 Speaking after the game, Sigurdsson admitted that the match was probably the toughest of his career after he spurned the chance to bring Iceland back into the game via the penalty spot. With just seven minutes of normal time left, Alfred Finnbogason was fouled in the box which allowed Iceland a route into the match but Sigurdsson could only hoof the opportunity over the bar. Everton midfielder Idrissa Gueye believes there is enough quality within the squad to compete for the European places next term. The Merseyside outfit finished the recently concluded season in eight position and this saw them lose the final Europa League place to seventh-placed Burnley, who had a five-point advantage. Everton’s on-loan striker Henry Onyekuru has confirmed that he won’t be returned to the Jupiler League for the 2018/19 campaign. The Nigeria international joined the Toffees from KAS Eupen last summer but the inability to secure a work permit saw him join Belgium heavyweights Anderlecht on a season-long loan. During his interview, Onyekuru hinted that there is potential interest from England, but the work permit is likely to hinder his chances of participating in the top-flight. Nevertheless, the Toffees have no plans to offload the Nigerian anytime soon and Marco Silva is expected to decide the fate of the forward once the players rejoin for pre-season training. Meanwhile, Onyekuru spoke about the recent results of the Nigerian national side and the 21-year-old is confident that the Super Eagles will raise their game during the World Cup opener against Croatia, he added: “The friendlies should be used to correct errors in the team and also get solution to problems noticed. Many expected so much from them but they didn’t do well in the friendlies but trust me I know these players, I have trained with them, I am confident that they will raise their game on Saturday against Croatia to win.” Nigeria have not won any of their recent warm-up games with one draw and two defeats.